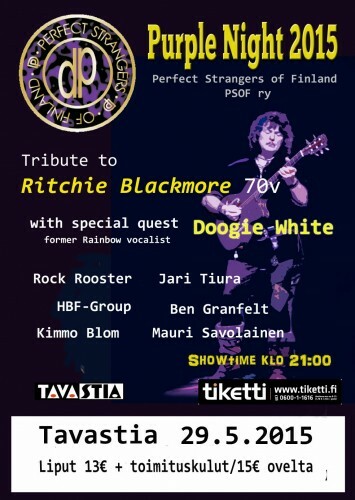 Perfect Strangers of Finland will be holding their 7th Purple Night event on Friday, May 29, in Helsinki, Finland. This year it will be dedicated to Ritchie Blackmore, who has celebrated his 70th birthday a couple of weeks ago. 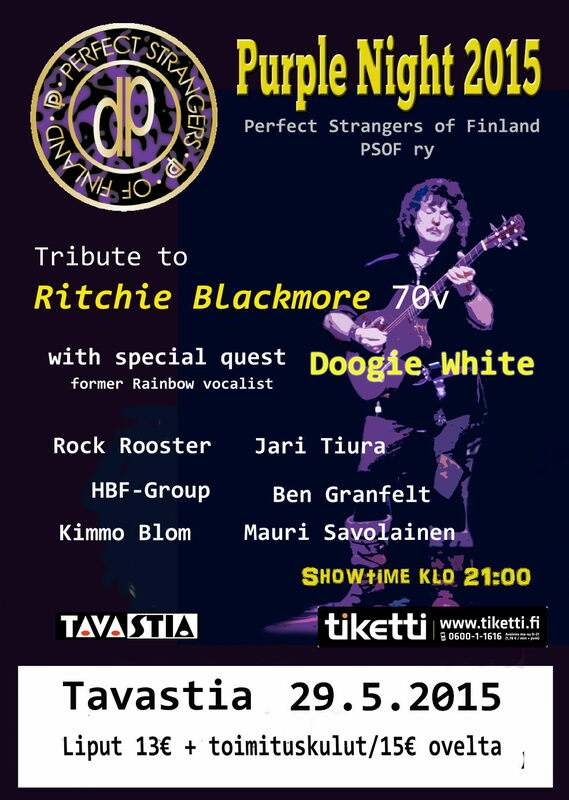 Doogie White will be a special guest of the night, performing Purple and Rainbow classics with local musicians. Tickets: 13 EUR + service fee online, 15 EUR at the door. Thanks to Jari Kaikkonen for the info. Posted by Nick Soveiko on Sunday, April 26th, 2015, filed under News. You can follow comment on this post through the RSS 2.0 feed. You can skip to the end and leave a comment. Pinging is currently not allowed. Isnt that the screamer Michael Schenker employed way back in 2006? Here is more details about the Purple Night.